Sarah Watts performs ‘quarter-sounds’ by Marc Yeats at Salford University as part of her lecture programme around her research into the notation and performance of bass clarinet multiphonics. SCAW [Sarah Watts and Antony Clare] perform child to the ‘black faced night’ for Bass Clarinet and Piano [First prize winner in the World Bass Clarinet Composing Competition – October 2005 | duration 10 minutes] at Peel Hall, Peel Building, Peel Park Campus, University Of Salford. 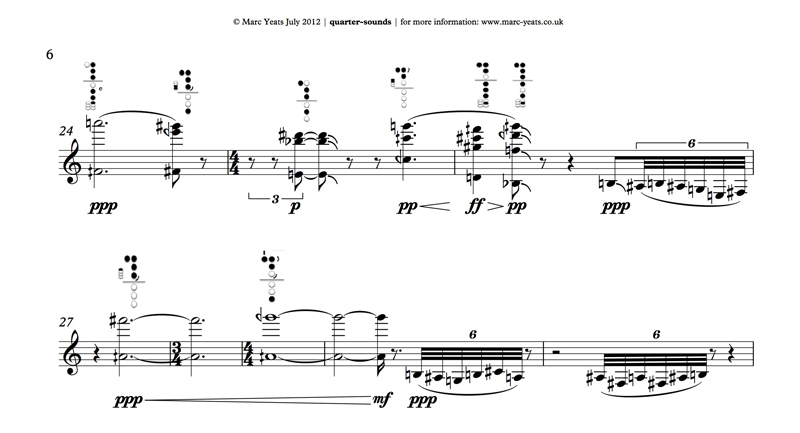 This work is recorded on their new SCAW CD of British bass clarinet and piano music to be released during 2013. The CD features works by Antony Clare, Stephen Davismoon, Graham Fitkin, Piers Hellawell, Iain Matheson, George Nicholson, Thomas Simaku, Elizabeth Winters and Marc Yeats. This entry was posted in music, partnerships. Bookmark the permalink.